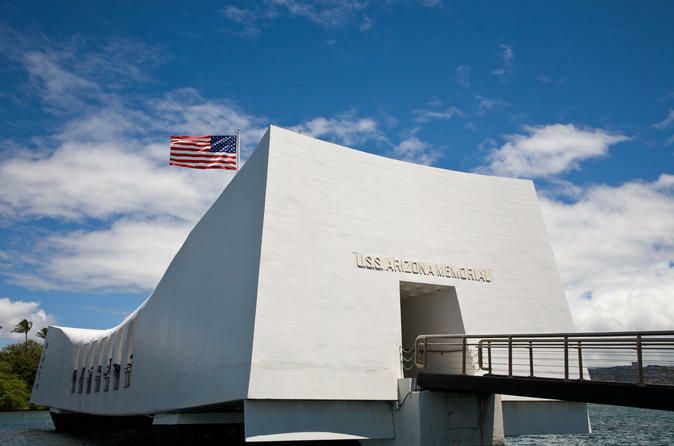 The DELUXE Pearl Harbor City Tour includes lunch and a visit the USS Arizona, Pearl Harbor, and downtown Honolulu on this 5-hour tour with a guide. Travel comfortably in a climate-controlled minivan or coach and explore the exhibitions at the USS Arizona Memorial. Learn about the impact of Pearl Harbor and pay your respects at the historic National Memorial Cemetery of the Pacific at Punchbowl. Driven around downtown Honolulu to gaze and learn about the impressive state buildings, the ‘Iolani Palace, and the majestic statue of King Kamehameha.